As a self-proclaimed die-hard Legend of Zelda fan, I’m always quick to avoid discussions of Majora’s Mask. At first, people think it’s because I’m so resolute in my love for Ocarina of Time that I can’t even countenance the idea that its direct sequel could ever be better, and while there’s definitely a healthy debate to be had there, my reason is a much simpler one: I never bothered to finish it. Unlike my reasons for never getting around to finishing Skyward Sword, which can best be summarised as “something comes up whenever I finally have enough time to sit down and enjoy it”, Majora’s Mask has never been able to enjoy such a luxury. Instead, I found myself getting about halfway through the game, putting the controller down, and never finding the motivation to pick it back up again. Sure, I first managed to play it around seven years after it was initially released and I had plenty of other things to deal with, but it never managed to grab my attention the way my friends insisted it should have. By all accounts, I should rightfully be joining them in championing Majora’s Mask as one of the greatest Zelda games ever. It’s a dark re-imagining of the universe that isn’t also relentlessly gritty and monochrome; instead, it seemingly understands that for things to be at their darkest, you need those tiny moments of hope and salvation. Throughout your adventure you’ll pass through colourful regions of the land, all beset with various misfortunes. A swamp turned poisonous and occupied by a King about to lose his only daughter. A mountain beset by a permanent winter that’s cut its inhabitants off from the rest of the land and threatens to let them all freeze to death. A town caught in the midst of its annual celebration, locked into stagnation as officials bicker over whether to evacuate the region, while others are so adamant over holding the festival that they’re willing to die over it. What makes the tone so successfully dark is that your only successes are minor, and they’re totally reset every time you go back in time. There’s little in games so heartbreaking as spending three days reuniting a couple bound by true love, knowing they’re doomed no matter what you do. For most of the game, they’re separated and if you’re unaware of their plight, then you could conceivably reach the credits without ever helping them, their story left permanently without an ending. Or, if you go in knowing that they’re in need of help, their struggle is left in an unavoidable limbo as it’s not possible to assist them until the tail-end of your adventure, so each time you travel back in time is another occasion you’re completely unable to help them. Finally, you set out to help them and actually succeed in reuniting the long-lost couple, except that by the time you’ve done so there’s nothing they can do but simply wait to die together. You go back in time and restart the three-day cycle, knowing they’ll be separated once again, your only solace being a mask commemorating their union, and the knowledge that they spent their last hour alive truly happy. Stories like that are exactly why I should love Majora’s Mask, because it’s a game full of them. There’s little but heartbreak at every turn, and any successes you create are wiped out the moment you have to restart the three-day cycle. Rescuing Zora eggs so their mother can speak again. Bringing Spring back to the mountains. Curing a man of his curse so he can hold his daughter in his arms once again. Victory is fleeting at the best of times, ready to be erased with but the play of a tune. Wearing masks that allow Link to change form fill him with such sadness and pain all at once that his only recourse is to scream. It’s a dark, dark universe, and this game knows it. Or so it seems. It’s incredibly easy to ascribe meanings or motivations to Majora’s Mask, despite all logical sense; it was created and released within a year, and thus it’s hard to justify claims of how deliberate some of the writing is, or how deep certain side-quests are. In many ways, it’s simultaneously an English student’s greatest and worst nightmare; there’s so much to interpret that you could easily ascribe any theory you wanted to with enough gumption, but to do so means you have to sit through everyone else desperately trying to find meaning in moments where there are none. Yet, the fact remains that for many, the stories within it are nothing more than another puzzle to be solved or another theory to formulate. I’ve spent many a restless night wondering if travelling back in time simply starts the time loop at the beginning or whether it causes a parallel dimension to form, and thus figuring out whether going back in time will either actually achieve anything or if I’m dooming hundreds of people to die every time I play the Song of Time. That’s just one of the most obvious forms of debate, however. Some people believe that Link’s actually been dead the entire time and the rest of the game is some form of purgatory or a dying dream; a theory that Eiji Anouma – the executive producer of the Zelda series – recently found himself having to debunk. 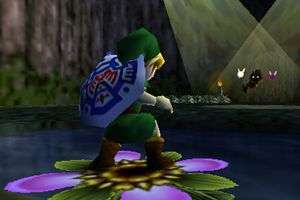 Others say that Link only set off on his journey to be re-united with Navi, and that it’s actually about learning to cope with loss, or the difficulties of moving on. I could even argue that the prevalence of theories means that there’s no real meaning and everyone’s making too much fuss, and as a result it can be a stressful game to think about. Anouma became so stressed out while making Majora’s Mask that he had a dream in which he was being chased by Deku Scrubs; he then walked into the office and was shown a cut-scene where Link was being chased by the exact same creatures and in the exact same manner that caused Eiji to wake up screaming only hours earlier. Mostly, I feel that the game’s obsession with time is its greatest undoing. While having only three in-game days to save everything before skipping back to the start is amazing in theory, it’s not one I’ve ever particularly enjoyed. Granted, there’s been the odd thrill of beating a boss with only a minute to go before the moon crashes down, forcing me to travel back in time the moment it was defeated, but even that thrill was short-lived. It’s a story that makes for a fun anecdote until the moment you realise that I’d basically wasted my time and would only have to do it all over again. Sure, I could skip the dungeon and go straight to the boss battle if I want to take on any side-quests that open up when a temple is conquered, and I could perhaps have planned my timing a bit better. In reality, however, my choices were either “finish the fight now, knowing I’m immediately going to have to do it again” or “skip the fight, go back in time, then be forced to start the temple from scratch”. In the end, I remembered that I hadn’t collected all the fairies hidden away and so had no choice but to take on the dungeon all over again anyway. If I don’t complete every post-boss side-quest I need to before the three days are up this time, then that’s another trip to the temple I now need to plan out. In fact, ‘planning’ is possibly the best way to describe the bulk of my issues with Majora’s Mask‘s obsession with time. 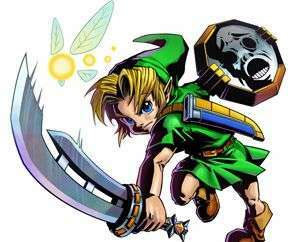 In other Zelda games, you’re able to tackle each adventure at your own pace, with perhaps the occasion rare side-quest requiring you to complete a task within the allotted amount of time. Should the feeling take you, there was little stopping you from soaking in Hyrule’s wonderful iterations and their beautiful vistas, or even setting sail and randomly happening upon something new. Exploration was one of the most intoxicating allures that was its own reward, even if you didn’t find something new. 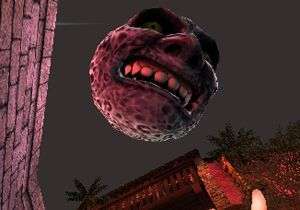 In comparison, Majora’s Mask is like that boss who stands over your shoulder and berates you the moment you check to see if you’ve received any messages on Facebook. Discovery is no longer your luxury, time is, and you’ll be damned if you’re not going to constantly fall for that false sense of pressure you’re put under. You could idle about and drench yourself in the atmosphere. You could soak in the shores of the Great Bay, admire the foliage in the Southern Swamp, or frolic in a winter wonderland, but every moment you’re not setting out to achieve your goals is time completely wasted. Every second that you’re not righting the wrongs of Termina is one where you’re failing, and complacency will kill everyone you’ve ever met. 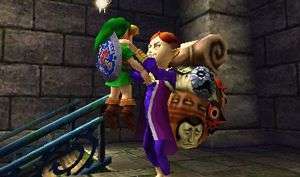 Majora’s Mask holds your time hostage to such an infuriating degree that were it a real kidnapper you’d start wondering how much easier it’d be to simply remarry and raise a new child instead. Some claim that the constant pressure is exactly why they relish the experience above all others, but it’s the greatest reason that I find myself switching off. When it comes to games, there are few better than those where you intend to sit down for half an hour, only to find yourself still sitting there hours later wondering where the time has gone. Majora’s Mask instead demanded that you had at least two hours spare every time you wanted to delve into its world, and that you had a fairly decent idea of what you needed to achieve in that block of time you’ve had to schedule in. I don’t want to have to open a notepad and plot out what I need to do every time I want start the game up. It’s supposed to be escapism, not homework. To me, each Zelda should feel like an all-expenses-paid vacation, but Majora’s is the kind where your boss has decided that because your hotel has WiFi that you may as well still answer all your work emails, answer phone-calls and fill in all your paperwork. Once it’s all said and done, you don’t remember the highlights as much as you remember the constant busywork that kept grinding your enjoyment to a halt. To be fair, it’s still marginally better than Spirit Tracks, which was like trying to suffer your daily commute when it’s been delayed for over an hour because the service is being run by TFL, only to realise halfway through your journey that you’re naked and stink of piss. I’d honestly hoped that the remake for 3DS would set both of us on the path to redemption, and allow me to finish the game once and for all, but instead I managed to complete an extra dungeon and a half before giving up and playing something else instead. Considering how many missteps the remake helped fix, it seemed odd. After all, it now allowed you to save permanently at the owl statues instead of temporarily, the Bomber’s notebook was more concise and allowed you to schedule in-game alerts, so you could reliably plot out what you needed to do with less margin for error, and the New 3DS functionality meant you could take full advantage of a camera that let you look around in three dimensions, instead of just a first-person view or directly behind Link. So why couldn’t I still find it in my heart to enjoy it? Because, and I’m almost ashamed to admit it, I’d been blazing my way through the Ocarina of Time 3D Remake only days before Majora’s Mask 3D came to my door and invited me to meet with a terrible fate. It’s a large point of contention between me and my friends, but returning to both worlds within such a short space of time cemented a particular justification in my mind; Majora’s Mask is so attached to Ocarina of Time that it can never truly be the better game. It may seem unfair, but it’s one that years of reasoning from my friends has solidified for me. 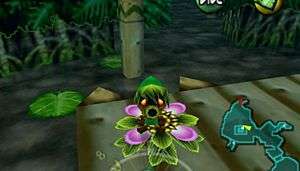 Everything that Majora’s Mask achieves, it only does so in the context of Ocarina of Time. That iconic one year turnaround from concept to completion? Only possible because they just reused all the assets from Link’s Ocarina adventures. The shape-shifting mask mechanic? One ripped wholesale from the list of features left on the cutting room floor of Ocarina‘s development. The story? A direct sequel to one so iconic that most of the series’ canon is based off of its events. Even when my friends try to justify why Majora’s is the pinnacle of the series, all of their arguments are based solely around what it did better or worse than its predecessor. While Majora’s Mask could easily be considered a classic to many, even its most staunch fans refuse to free it from the creative shackles of Ocarina of Time. It’s never allowed to be discussed or able to stand within its own context in the same way Wind Waker, Skyward Sword and Twilight Princess are. No matter how hard it tries, defenders and detractors alike will never be able to let the game be freely discussed within its own merits – it will always have to answer to or carry the comparison to the adventure before it. Much like the magic contained within the titular mask, it carries a curse that may never find itself broken. And perhaps that’s the darkest, cruellest element of them all.